Chicken pox is a common childhood disease caused by a virus called varicella zoster. The symptoms are headache, fever, and malaise, followed by eruptions of pimple-like red bumps. The bumps typically start on the stomach, chest, or back. They rapidly develop into blister-like sores that break open, then scab over in three to five days. Any contact with the sores can spread the disease. Children are contagious up to 48 hours before breaking out. Chicken pox can be a fatal disease for immunosuppressed children, so extreme care must be taken to prevent exposure. It will be necessary to educate all teachers and friends to be vigilant in reporting any outbreaks. Your child should not go to school or preschool until the outbreak is over. Chicken pox can be transmitted through the air or by touch. Exposure is considered to have occurred if a child is in direct contact or in a room for as little as ten minutes with an infected person. If your child has never had chicken pox, it is better to take him to beaches or parks rather than to indoor play areas. If an immunosuppressed child is exposed to chicken pox, call the doctor immediately. If the doctor gives a shot called VZIG (Varicella Zoster Immune Globin) within 72 hours of exposure, it may prevent the disease from occurring or minimize its effects. We knew when Jeremy was exposed, so he was able to get VZIG. He did get chicken pox, but only developed a few spots. He didn't get sick; he got bored. He spent two weeks in the hospital in isolation. We asked for a pass, and we were able to go outside for some fresh air between doses of acyclovir. If a child develops chicken pox while on chemotherapy, the current treatment is hospitalization or, if possible, home therapy for IV administration of acyclovir, a potent antiviral medication. 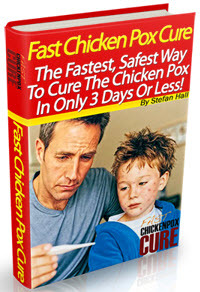 This drug has dramatically lowered the complication rate of chicken pox. Kristin broke out with chicken pox on the Fourth of July weekend. Our hospital room was the best seat in the house for watching the city fireworks. She did get covered with pox, though, from the soles of her feet to the very top of her scalp. We'd just give her gauze pads soaked in calamine lotion and let her hermetically seal herself. They kept her in the hospital for six days of IV acyclovir; then she was at home on the pump (a small computerized machine that will administer the drug in small amounts for several hours) for four more days of acyclovir. She had no complications. 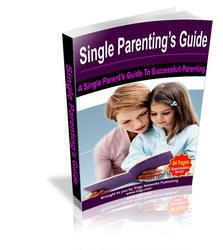 A child who has already had chicken pox may develop herpes zoster (shingles). If your child develops eruptions of vesicles similar to chicken pox that are in lines (along nerves), call the doctor. 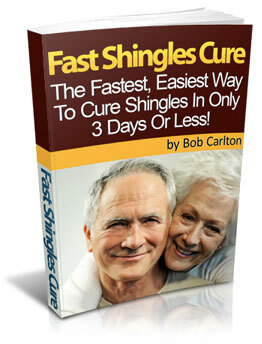 The treatment for shingles is identical to that for chicken pox. Kristin also got a herpes zoster infection, this time on Thanksgiving. It looked like a mild case of chicken pox, limited to her upper right arm, her upper right chest, and her right leg. They kept her overnight on IV acyclovir and then let her go home for nine more days on the pump. Untreated chicken pox or shingles can result in life-threatening complications including pneumonia, hepatitis, and encephalitis. Parents must make every effort to prevent exposure and watch for signs of the diseases while their child is on treatment. An immunization for chicken pox has been developed that may be given to children with leukemia in the near future. Currently, there is insufficient data to evaluate its usefulness or safety in children with leukemia. What hapoens if a boy being treated with leukimia gets the chicken pox? How to pad during chikenpox?